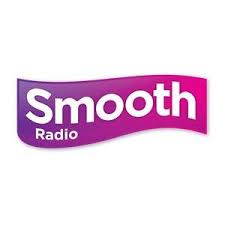 UPDATE Smooth Radio has been rolled out to listeners across the East Midlands on DAB digital radio following Ofcom approval. The East Midlands version of the easy listening station, which also broadcasts on FM 106.6 across the region and 101.4 around Derby, has until now only been carried on DAB digital radio via the Nottinghamshire local DAB service. Smooth Radio has today been added to the line-up of stations on the Derbyshire DAB multiplex, which launched in the summer as well as the Leicestershire DAB multiplex. Across Derbyshire, Leicestershire and Nottinghamshire, the station shares the same service ID and transmits in mono (80 kbps). Ofcom announced the approval of the coverage extension on DAB in the East Midlands on Friday. Smooth Radio East Midlands operates as a franchise of Global Radio's national Smooth Radio service and is owned by Communicorp. The station provides up to seven hours of regionally produced output every day. Listeners in the East Midlands have two versions of Smooth on DAB: the national version of Smooth Radio, labelled Smooth Radio UK, carrying London programming is also carried on DAB via the national Digital One multiplex. The national version on Digital One is scheduled to be dropped in the future, leaving Smooth Radio solely available via local DAB multiplexes, which is providing an impetus to roll-out Smooth on as many local DAB multiplexes as possible.